We all love the ~lewk~ a well-deserved, hard-earned summer glow gives us. Generally, we are just all-around better (and happier) people when we’re slightly bronze. However, regardless of whether we’re three shades darker or still pale AF come August, we’ve got to protect ourselves when it comes to basking in the sun. I mean, looking orange straight out of a tanning bed was cool in the early 2000s, but it’s now 2018 and putting yourself at risk for cancer is like, v uncool. Not to be a total buzzkill and get all mom-like, but we should all be using sunscreen religiously on a daily basis—sun or no sun. While it may seem as though you have to choose between finding a sunscreen that protects you against annoying UV rays or going for a tanning oil instead, life doesn’t always have to be so hard. We can have nice things every once in a while, and those nice things come in the form of tinted sunscreens or tanning lotions with SPF. The best of both worlds do exist, betches. Bless. Here are the best ones to stock up on so you can live your very best tanned life responsibly. 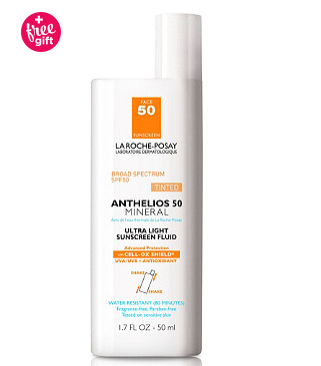 This oil-free sunscreen has a ton of SPF, which, honestly, can only be a good thing. Despite being SPF 50, it features a natural tint for all skin tones (and all sensitive skin types!) so you can still glow without fear of turning into a lobster. It leaves a matte finish and is water-resistant for up to 40 minutes. You know, for on the off chance you actually go into the pool. I admit, sunscreen in a stick sounds reaaally weird. BUT it’s actually like, really smart. This one is perfect for traveling, but also super efficient when it comes to all-over coverage. It boasts 80 minutes of water-resistance, which is effing impressive, and a universal gold tint that enhances your rich tan. I don’t only love this stuff simply because it’s conveniently sold at my beloved Target, but also because it works so damn well. 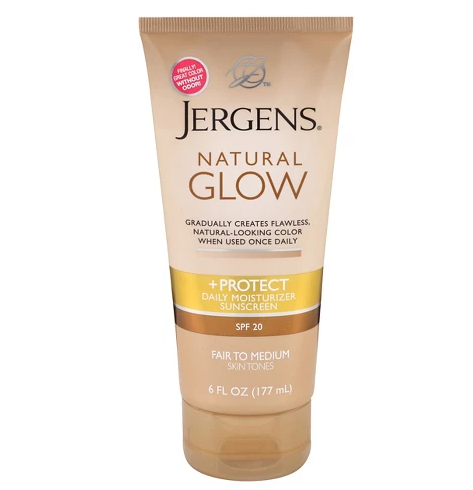 If you love the famous Jergens moisturizer, then you’ll be obsessed with this sunscreen version that’s one of my favorite tanning lotions with SPF. While you lay out on the beach, this will gradually darken your skin tone for a healthy-looking glow and prevent pesky sun damage at the same time. People seriously swear by this. I’m told it like, works wonders, performs miracles, and maybe even does magic or something. 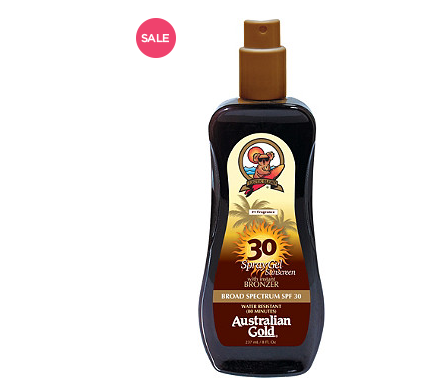 While serving as a shield from cancer-causing rays, this gel offers an instant caramel-like bronze glow after application, so you always have a luscious tan regardless of how much time you spent under the sun. It can also become water-resistant for up to 80 minutes, which again, is a really long time to be hitting the waves. So really, it’s a life-savior. This is legit a total game-changer for all of us who enjoy wearing makeup to the beach. 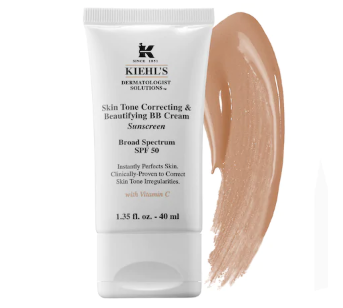 This multi-functioning cream is a skin perfector, sunscreen, and tinted primer all in one. 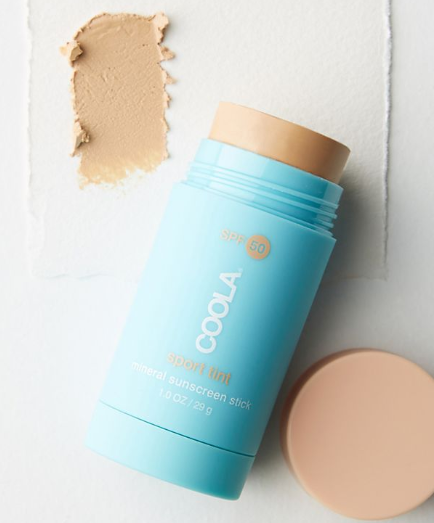 The formula corrects skin imperfections, protects against UV rays with a high SPF 50, and fixes any skin tone irregularities with any of its three shades. It’s v lightweight, hydrating, and buildable, so it works fab under a foundation of your choice. Praise be.